We investigate the story of an extraordinary, mysterious find made by a Sicilian fisherman in the waters of the Mediterranean. 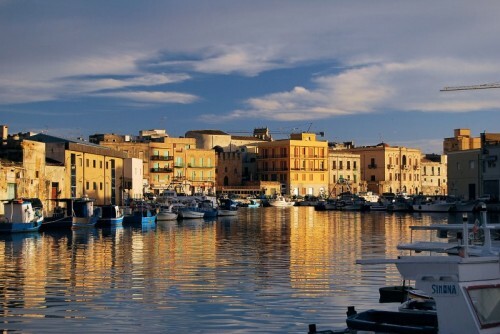 Mazara del Vallo, a historic and charming fishing town in Sicily’s south western corner. Known throughout Italy for its prolific fishing industry, its fisherman often unearth treasures in the deep blue waters around the island’s picturesque coastline. However, one fascinating find, made in March 1998, would elevate the town to international acclaim and firmly re-establish it as a place of cultural interest. Residents of Mazara have long been accustomed to seeing fisherman return from the sea clutching giant barnacle-clad urns and assorted merchants’ paraphernalia - the remnants of centuries of bustling intercontinental trade and forgotten shipwrecks in the Mediterranean. Despite this, no-one was prepared for the discovery of ‘il satiro’, an ancient copper statue with flowing locks and an elfin appearance, chiselled with intricate detail. 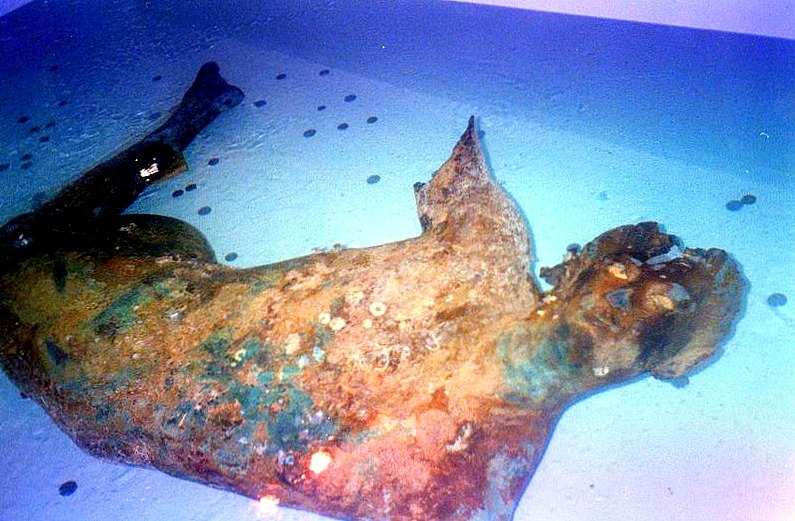 Prior to becoming entangled in a modern day fisherman’s net, the statue had lain silently on the seabed for 2,000 years, undisturbed by battles, traders and cruise ships, and had long since become home to fish and crustaceans alike. The satyr appears to be leaping forward in an ecstatic move, its back arched and head thrown back. A symbol of revelry and wild, hedonistic abandon in classical times, historians and archaeologists have pondered whether it could have been a figurehead for a boat, due to the round hole in its back. Satyrs formed part of the raucous entourage of Dionysus, the greek god of wine, who was associated simultaneously with divine bliss and brutal rage. According to Greek mythology, the satyr may well have held a cup of wine in one hand, with a panther’s skin slung over his arm, and a staff in the other, tipped with a pine cone and twined with ivy. 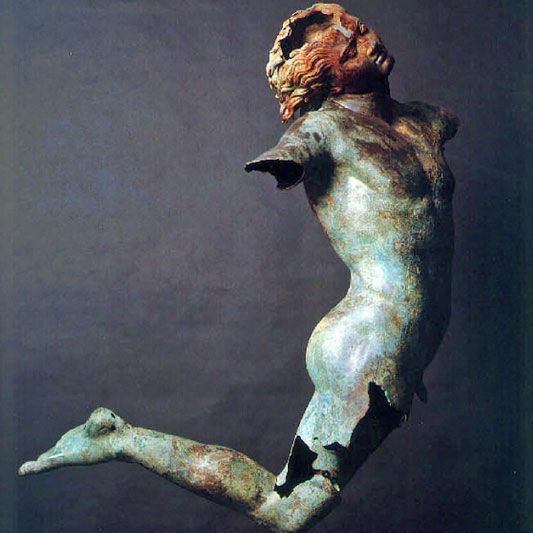 It is commonly thought that Mazara’s satyr was made by the ancient Greeks between 2 and 4 AD. The statue itself is beautifully well preserved. It weighs 96kg and reaches a majestic height of 200cm. Both of its arms are missing, while one leg, bent backwards as if running, was recovered separately. Scientists spent more than five years restoring the statue at the Istituto Centrale per il Restauro in Rome. Through a painstaking process of cleaning and chemical treatment, they have managed to uncover much of its original beauty and character, and curb any damage caused by exposure to the air. They also inserted a metal frame inside the satyr, so that it could be displayed upright. Undoubtedly the most famous archaeological find in Italian waters for decades, the satyr has since captured the world’s imagination, visiting Japan and the Louvre in Paris on its global tour, before settling in a purpose-built museum in Mazara. The building in which the satyr is displayed has a colourful history, having previously been a mosque, then a Catholic church and a city hall. Many of Sicily’s churches tell a similar story, having been converted from mosques or synagogues into churches as various foreign powers swept through the island, dominating its culture and shaping its customs and architecture. Still the subject of many a historical and popular debate, the ‘Satiro Danzante’ has put Mazara del Vallo back on the map and encouraged increased numbers of tourists to visit the town.